Proposal for a website revamp. 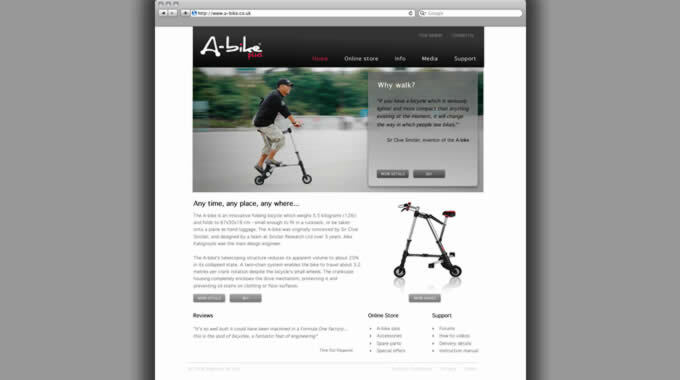 A-bike.co.uk is a commercially successful website which currently has an outdated and difficult to maintain structure. I was asked to consult on a proposed rework intended to introduce web standards, decrease load times and improve site structure, to increase sales and make ongoing maintenance and updates easier. My suggested solution is pictured above. By replacing old nested table layouts with CSS and standards-compliant XHTML, not only would the site be easier to manage, quicker to load and more accessible, but also much more search engine friendly. 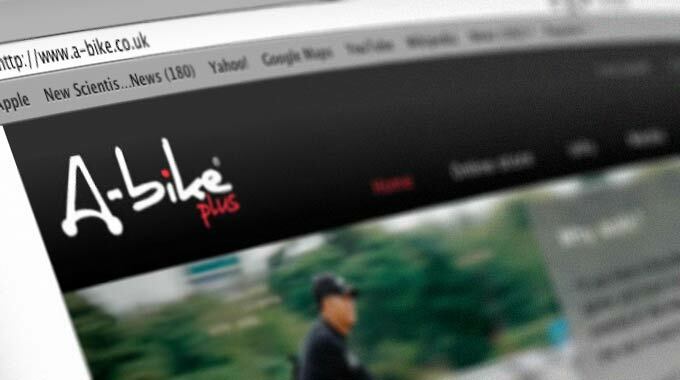 Sadly the client decided they did not want to invest in the website and so these designs were never used.